Budapest: With the Formula One season heading into the summer break, here are the major talking point as Lewis Hamilton takes a 24-point advantage into the interval. Having made three strategic errors this season, the pressure has been on the Mercedes pit wall. With qualifying crucial in Hungary they were on top of their game in a chaotic wet session. Tyre choice at the right time was key and it was by no means easy. The team handled it well and ensured their drivers were on the right rubber at the right time. After this it was Lewis Hamilton who was once again exceptional. As Mark Webber pointed out, on his pole lap he took the inside line for traction on the penultimate corner. Always looking for the extra grip and where a driver’s feel makes all the difference, Hamilton was in a class of his own, as he was in the wet at Monza last year. Sebastian Vettel in contrast looked almost tentative, even in comparison to Kimi Raikkonen. Perhaps the shadow of Germany still loomed large? The Scuderia were right to try an alternate strategy for Vettel, starting him on the softs, to go long and attack at the end but their plan was dependent on jumping Valtteri Bottas through the stops. It appeared to be going well, by lap 35 he had 25 seconds on the Finn, with a stop taking around 21 seconds. However, Vettel then hit traffic and Bottas got the hurry-up, taking almost five seconds out of the gap in four laps. 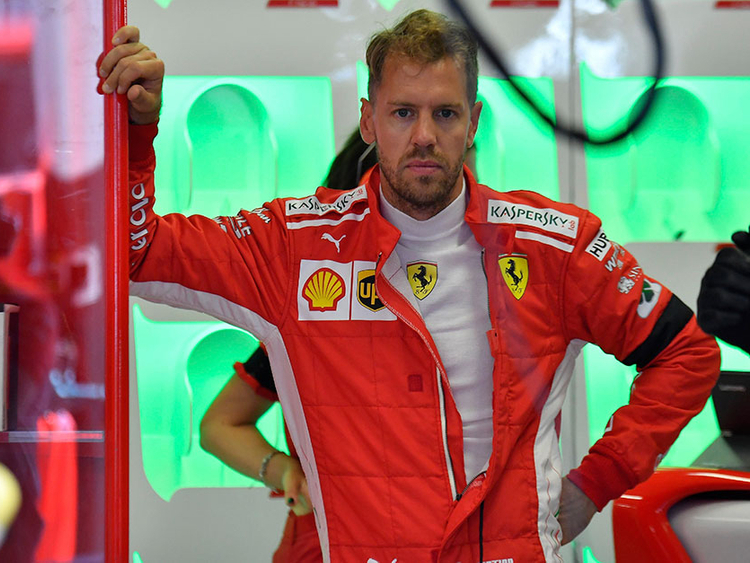 Ferrari’s slow stop cost them but before that they could still have ensured Vettel’s advantage by amending their plan. Vettel believed he could have stayed out even longer and once again opened a comfortable gap to Bottas, leaving himself with even fresher rubber at the end to attack Hamilton. He intimated as much on leaving the pit lane. The Scuderia’s calls have generally been good but this time they were too conservative. As the season reaches the sharp end, with Vettel currently playing catch-up, they may have to take more of a chance in future. Red Bull’s fractious relationship with Renault reached an entertaining new low. When Max Verstappen’s MGU-K power unit element failed after five laps the Dutchman was gloriously blunt. He first demanded they continue until the engine blew up and then did so himself. “What a… joke, all the… time with this, honestly,” he shouted, leaving F1’s sweary-beep technician with a sore finger. Even that annoyed him. “I think there was a lot of beeping out there, which was a shame, it would’ve been better if they allowed it.” Red Bull’s team principal, Christian Horner, was no less furious. “I will let [Renault’s] Cyril [Abiteboul] come up with his excuses afterwards,” he said. Abiteboul’s response was bullish. “Our bosses have stopped reading what Christian Horner says about us since 2015,” he said. “It’s very clear that we don’t want to have any dealings with them any more.” Red Bull’s frustration is understandable but it is hard not to expect that they must brace themselves for similar setbacks with Honda next season. How they will react then will be fascinating. A hugely successful weekend for Pierre Gasly in the Toro Rosso proved the potential of the young French driver and included a new experience. Gasly qualified brilliantly, taking advantage of the wet conditions to take sixth on the grid. He backed it up with a fine race for sixth, the best outside the big three. He passed Carlos Sainz to run as high as fifth and at times was lapping three-tenths quicker than Kevin Magnussen in the opening stint. He was the only midfield driver not to be lapped by Hamilton, indeed he had a taste of life at the front. “I think the first time that I saw blue flags for cars ahead of me, when I saw that, I was like: ‘It means I’m doing a good race’. Usually the blue flag is for me.” Toro Rosso have had three races where they felt they would be strong, Hungary was one and in the other two, Bahrain and Monaco, Gasly was fourth and seventh. Impressive stuff. On Friday it was announced that Force India had gone into administration and that buyers of the team were being sought. One of the architects was their own driver Sergio Perez. This was far from about recouping cash, however. Perez knew a winding-up order was set to be made on the team from another creditor and he, alongside Mercedes and sponsor BWT, chose to act beforehand, so the team could keep operating and be sold to a backer offering long-term financial stability. Perez was unhappy but believed he had to do something. “We got to a point where action had to be taken, to protect the 400 people that work in the team,” he said. “It got too much and I was asked by a couple of members of the team to go ahead and save the team.” The collective action should result in a stronger future for Force India. They are not Caterham or Manor. Operationally they are one of the best outfits on the grid and should make a very solid investment. Toto Wolff has already said there are “many potential buyers, with deep pockets”.